The 9106 Omnicell is a single-ended shear beam design suitable for use in hostile environments. The 9106 is Factory Mutual approved for all classes, groups and divisions. 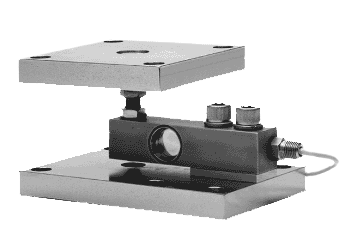 This line features a stainless steel hermetically sealed load cell, stainless steel mounting assembly, self-checking and an articulating top mounting plate. The Omnicell 9106 comes with 20 feet of Teflon® coated load cell cable.